Yago: Howard, first of all I would like to welcome you to this blog called Breathing Forgiveness. The main purpose of this blog is to celebrate in a creative way the 125th anniversary of Charles Lavigerie’s anti-slavery campaign. We attempt to name and deconstruct the energies of enslavement that keep perpetuating injustices in today’s world. 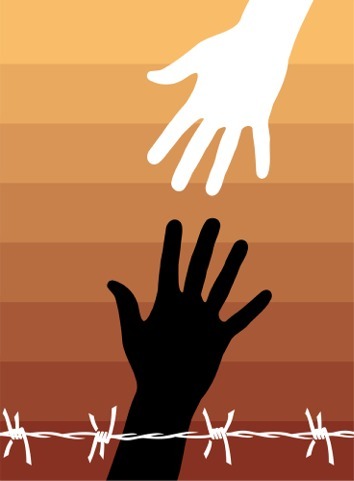 You are one of the founding voices in the Restorative Justice movement. Today’s world is greatly ruled by a dehumanizing retributive justice system. In this interview we would like to look at the world of the victim and the offender in the context of this unjust system. Also we want to offer alternatives as we deconstruct the assumptions which govern today’s thinking about crime and justice. In the last section of this interview we would like to explore your creativity infusing art in justice work. Howard, to begin with, could you share with us about your background? What brought you to be so concerned about justice in your life? Howard: Well, I began my work primarily with crime, and that’s still my work. I grew up Mennonite, so that the issues of justice and peace were pretty much a part of my context. I went to Morehouse College in Atlanta, an historically African American college, and was the first white graduate from there. 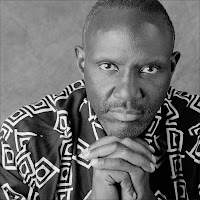 And that experience of being immersed in a black world in the 1960’s was really a turning point for me and certainly helped me understand the dynamics of race in our society. Then I went on to teach in an African American college in Alabama. I got involved in the legal system, working with defense attorneys to help pick juries in cases like death penalty cases, police brutality cases, that kind of thing. So I had a really clear understanding of a lot of the deficiencies of the Western legal model as it applied to offenders. I didn’t know anything about victims and like many advocates, I didn’t really want to know about victims because that would have just complicated my world. I was there for people who were accused of offending. Also, I didn’t want anything to do with the officials of the legal system either, because in this very nice moral universe we were the good guys and they were the bad guys. Then I left teaching and moved to Indiana. I was directing a halfway house for people coming out of prison and it burned down. In Indiana a couple of probation officers were working on this idea of bringing victims and offenders together, and it hadn’t gone very far. I was quite skeptical, because it meant working with the system, but it didn’t take very long, meeting with victims and offenders and bringing them together, to begin to see how much victims were a part of the equation and how much they were traumatized by crime. I saw how inadequate the legal system was for them, and I also saw something amazing happen when we brought these “enemies” together and they left, at minimum, being less enemies - and sometimes being friends. I realized that something was going on there. So I got involved and wrote manuals and books so that others could do it and began to think about it conceptually. Eventually I wrote this up using the term “restorative justice” to describe what I thought we were doing. That’s my journey in a quick form. 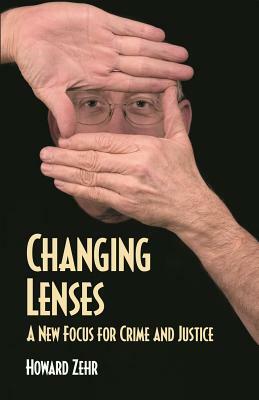 Yago: In your book Changing Lenses you show how crime victims have many needs, most of which the criminal justice system ignores. In fact, we can say that the justice system often increases the injury. You say that the experience of a victim is really traumatic and devastating because breaks down through the mental assertions that the world is a meaningful place to live and our belief in personal autonomy. Could you share with us more about what is going on in the inner world of a victim? So I always say that the experience of being a victim involves three traumatic crises. One of them is a crisis of meaning: how do I put all of this together, how does this terrible thing fit, where is there good in the world, where is there not? 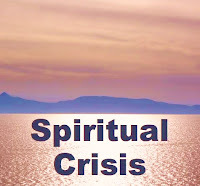 Second, is a crisis of identity: who am I? Can I not keep myself safe, can I not keep my family safe? If I have all these feeling of anger - I think of myself as a loving person but now I’ve got this rage or these feelings of racism, who am I? And the third one is a crisis of relationship. Who can I trust? Can I trust people like the person who committed this crime? Can I trust my loved ones if they don’t seem to give me what I need? I’ve heard more horror stories from victims about their churches because they’ll go to church and either people won’t talk to them - then they’ll feel like they’re lepers - or they’ll say things like, “You need to move on, you need to forgive, you shouldn’t be so angry.” All of which tends to stigmatize victims further. There’s also a lot of humiliation in being a victim. Part of the trauma is that humiliation that goes with it. There is humiliation in being a victim and usually we don’t feel very good about how we respond at the time or later. So there’s a lot of humiliation. A lot of what transforming trauma means for victims is restoring a sense of honor and respect for themselves and replacing that humiliation with honor. So victimization is a multifaceted kind of thing that often takes people by surprise. Yago: You also mention in your book “Changing Lenses” that a victim in order to heal they have to find the answer to six key questions. What can you say about that? Howard: I don’t actually remember what those six questions were, but there are a lot of questions. There’s a whole series of needs that victims have when they’re victimized. Some of those they have to address with their church, their family, their therapist, but there’s a group of four or five of what I call “justice needs." These are things that they need from a justice process, and if those needs are met they move on their journey much more easily. If they are not met, that’s when people get stuck. One of those is a need for information. They want to know what happened, why it happened, why did you break in, how did you know I was gone? Answers restore a sense of order, and that’s part of the sense of meaning and safety. So information is the first one. The second one is truth-telling. They need to tell their stories because they are trying to re-story their lives, they’re trying to recreate the meaning of their life, and usually that’s in narrative form. It’s really important usually for victims to tell that story. The Truth and Reconciliation Commission in South Africa realized that and that’s why they had these public hearings. So they need to tell their truth. A third need is sense of empowerment. They’ve been disempowered by the person who wronged them. And when they have these feelings they can’t get over, they feel disempowered; they have these recurrent dreams, anger that doesn’t seem to go away. It feels like somebody else still has power over them. Victims really need an experience of empowerment, and this rarely happens in the legal system. So the more choices and more involvement we can give to victims, the more likely they are to move on. And then the fourth justice need is a difficult one to explain but that’s what I call vindication. And vindication is partly restoring a sense of honor, but partly it’s a balancing of the score. I like to say that if I give you a gift, you will probably feel like you need to give me a gift back, or you will figure out in your mind why it’s okay to be one way. I think the reason we exchange Christmas gifts and the reason why we sometimes want revenge comes from the same place. We need to balance the score. And so vindication is partly a kind of balancing, and revenge is one way, but there are actually much more life-giving ways to do it. And one of those might be restitution, for instance; when someone repays you for the wrong that they did, it feels like they are taking responsibility, they’re saying that you’re not to blame. So vindication is a really big part of it I think. It means different things to different people but it’s an important part of it. 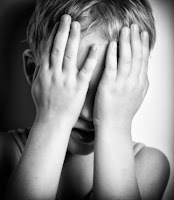 Yago: A person who is an adult can find ways to process the trauma caused by the response to a criminal action, but things done to a child become very difficult to process because, first of all, the criminal actions are not always remembered. How does crime affect a child? Howard: Well I’m no specialist on children so I can’t talk too much about that. Some of the needs are the same. They need to know that they are a valued person, that it wasn’t their fault, that they’re not responsible for behavior. They need to know that it was wrong, that it shouldn’t have happened to them. Those are very important, because a lot of children who are abused like that grow up thinking somehow that there’s something bad about them, that they deserved it, that they asked for it in some way, that they’re responsible. So as they get old enough to understand, helping them to understand that somebody abused their power over them, that it wasn’t their fault, that the reactions they’re having are normal neurological responses to that kind of trauma, can become really important. Finding ways to help children feel empowered is important. Yago: Let us move now to the will of the offender. The offender is a person that was abused early in his/her life and was unable to process and integrate meaningfully that abuse. As Richard Rohr says, if wounds are not transformed then they will be transferred. Could you share with us about the background of the offender, what brings him/her to engage in violent “criminal” behavior? Howard: Well, as you say, a lot of people who offend have been abused themselves. When it comes to violence, I would say that most people who offend have either been victims or they believed themselves to be victims. 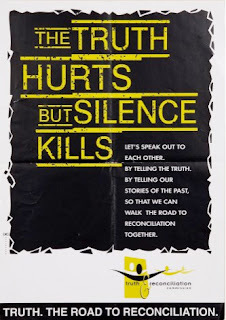 Most violence is, as James Gilligan says, an effort to undo an injustice, whether we’re talking about the criminal justice system or the war or personal violence. In other words, you’ve either been a victim or you feel like you’ve been a victim, and the crime or the violence is an effort to undo that wrong that was done to you. The way any offender does what he or she does is by using what psychologists call “neutralizing strategies,” excuses and rationalizations to justify what they do. Because they have to feel okay about themselves. So they can say the victim deserved it or it didn’t really hurt them, or all these excuses. And then we put them in a legal system, at least in the American legal system, where the main principle is “make the state prove it,” make the government prove it. So no matter how guilty you are, your lawyer says, “Plead not guilty.” And then we put them in prison where there’s no culture of taking responsibility. I tell judges it’s like we’ve created a mechanism to reinforce the way offenders got in trouble in the first place. It makes no sense whatsoever. So yeah, some of them are acting out trauma they’ve experienced, but even beyond that, they’ve protected themselves with a set of excuses and stereotypes and rationalizations that allow them to do what they do. If we don’t confront those somehow, and help them break through that, then the cycle just goes on and on. Yago: The goal is to restore the offender, to help him/her to embrace his/her humanity, to give him/her skills so s/he can process the trauma that brought him/her to commit violence. But, I believe that this is not really happening in the current judicial system of retributive justice. What is the current prison experience of an offender? Could you share with us what is really going on in the prisons? 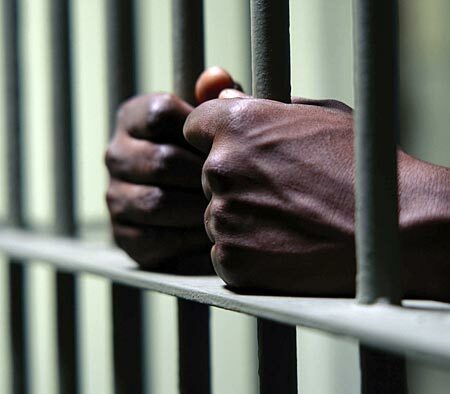 How do you envision a judicial system that indeed contributes a real restoration of humanity? Howard: Prisons in this country are basically trauma factories. So you get someone who maybe has been traumatized, and that’s caused them to commit a crime, and then you put them into a whole new context of trauma where their physical needs are barely met and the climate is usually of violence and dishonesty and control. You might have people killing each other over a 25 cent debt because there’s so little space for personal autonomy in the prison, so you fight it out over the smallest things. Much of the time, prisons are just totally counterproductive from a rehabilitation stand point. Some so have some treatment programs, but they’re trying to do that in the context of an overwhelmingly negative environment. There has been debate about whether you can have a restorative prison. A prison is by nature a totalitarian environment, so it can be difficult implement restorative values in such an environment. But it’s a good question. There are some prisons around the world that are run in a much more restorative way, where people are taught to live normally. Scandinavia has some where you cook your own food, you live normally; the goal is to teach people what good human relationships look like. Normally prison does just the opposite - it teaches people to live by violence and subterfuge It’s just totally counterproductive, really. Yago: In your book “Changing Lenses” you invite us to understand the journey of a victim and of an offender. You say that one of the common themes in both journeys is the importance of both repentance and forgiveness. The victim carries the burden of the pain and suffering provoked by the violent criminal action, to forgive looks like a way to get rid of that burden. At the same time, the offender needs to forgive and to repent. To forgive to whoever brought him/her, in a vicious cycle of violence process, to have that particular action. Forgiveness looks fundamental in both journeys. What can you say about this? 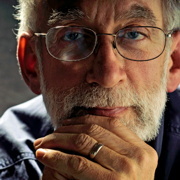 Howard: Since I wrote that book I am much more conscious about the concept of forgiveness. Forgiveness is a wonderful and powerful experience. I think is one of the most transformative things that can happen, but, it cannot be forced on people. Some of the resistance in this country to restorative justice is by victim groups who believe that they will be asked to forgive. And I always tell them that restorative justice is not about forgiveness. When you meet your offender, our goal is to use that meeting to meet your needs, to hold that offender accountable - that is to help them to understand what they did and take responsibility for it. If you use to forgive that is up to you, but we are not going to talk about forgiveness. 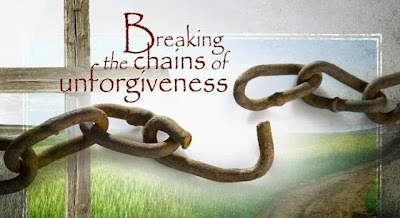 Forgiveness, at least in society, is so often imposed from outside on people. There can be pressure to forgive, which is counter-productive to real forgiveness. A friend of mine who has been doing this work for years says that forgiveness is paradoxical: the more you talk about forgiveness, the less likely it is to happen, and often I think that this is true. The other danger is this easy forgiveness, when you think that it is going to make everything to go away. In that case you can be really disappointed when you don’t have experience. 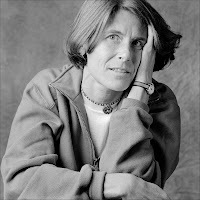 I’ve had victims calling me saying, “My son was murdered and I would like to meet with this person so that I can forgive him.” And I try to make sure they aren’t looking for an easy way out, that they are not trying to escape the pain that is part of the traumatic experience, partly because of our religious teaching “we have to forgive.” Forgiveness is the choice that one makes. It is a journey. You will likely have times where you will not feel like forgiving. It is not like a one-time event and then it happens. It’s a choice and a journey, and people have to choose whether they are on that path or not. What we say often is that a victim and offender are in an hostile relationship, and then the legal system makes it even more hostile. What we hope to do with this kind of practices is to at least make the relationship less hostile. They may not embrace each other, they may not choose to forgive, but hopefully they reduce their fear of each other, the stereotyping they have of each other. Yago: In this context, how would you define real forgiveness? Horward: I don’t know. I have talked to many people about forgiveness. One common element in everybody that I have talked to it seems to be a letting go: to come to a point where this event and this offender no longer dominate your life. For everybody I have talked who has forgiven says that the person who harmed them doesn’t dominate their thoughts and their lives anymore. Forgiveness and forgetting don’t go together at all. It is not forgive and forget. And it does not eliminate some kind of accountability. I think in a Christian sense it is saying to the other person, “I am not going to hold this against you any more”, but at least in a psychological sense it has to do with letting go of the experience. I know that it is not a clear definition but I found it very hard to define - there are so many different understandings of it. Yago: You said before that “healing happens once we are able to find meaning.” To find meaning in what has happened and to integrate it in one’s journey in life. How would you describe that process of searching for meaning, the process restoring humanity? Horward: We have to try to make sense out of the world and when something happens and breaks that sense, then we have to find ways to fit it in. One of the questions that victims always want to know is, “Why me?” They want to know if that was something against me personally, or maybe they want just to attack whoever they saw. This kind of information is helpful because they help to bring things back together again, to make sense of it all. I often think in terms of story. Our lives are embedded in stories; if you ask me about who I am, I’ll tell you a story. When these things happen, they disrupt that story of our life. Then you have two choices: you can repress it and not think about it, but it always come back to bite you, somehow. The other thing you can do is learn to include it in your story so it becomes part of your story, something you can talk about and you can tell. And you do that often by telling your story to other people. So part of the recreation of meaning is just to figure out where this thing fits in my story. Yago: So far you are talking from the side of the victim, but what about the offender, how does s/he integrates a crime? how can s/he construct meaning from it? That is much more difficult. Isn’t it? Howard: There is an interesting study by Shadd Maruna,who studied offenders in England who had turned their lives around, they were no longer offending. What he found, in part, is that they too had to restore their lives, creating stories of their life that incorporated that thing they did. So, they might do it by saying, “If I would not have done that, I would not have turned my life around.” Their offending behavior gets integrated in their lives. The other thing they do is to try to do some good. People he interviewed restored their lives so that that bad thing that happened is part of their story in some way, then they reached out and tried to be something good for society, as a way of paying back. So, both victim and offenders in some sense have to restore their lives. Howard: Right, and so that is part of the re-storying that offender might go through. Yago: You say that the victim and the offender are denied power in the criminal justice process, with harmful consequences for both of them. They are not empowered in the process. 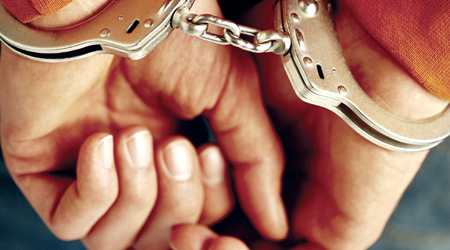 What can you say about the use of power in the criminal justice process? What is the alternative to this dysfunctional system? Howard: Well, to feel really human you have to feel that you have some personal power of your life. It is dehumanizing to be stripped of your personal power. So, when someone is victimized by another, they have some of their power being taken away. When someone is put in prison, they have had their power taken away, and so you have to find ways to get that power back. That can happen in some really dysfunctional ways. Prisoners may do it by becoming the tough guy in prison. Victims can do that by becoming victimizers themselves; sometimes they do that and so they become an offender. As long as you feel like somebody else, some event, is in power of your life you really feel less than human. Yago: What do you mean by the mystification of crime? Howard: The way the media and the politicians structure crime is so out of touch with reality. Victims and offender become stereotypes instead of real people. There is a lot of misinformation and really counterproductive information that is passed on, so that we cannot really understand crime and our conversations are so out of touch with reality. This is one reason I did my portrait/interview books with crime victims and life-sentenced prisoners, just to help us to hear from real people instead of our stereotypes. Yago: We shall go through those books later on. Let us now talk about the meaning of retributive justice. When we identify something as a crime, a number of basic assumptions shape our responses. What do we assume? What do we mean my retributive justice? Howard: Some people are questioning that language. I don’t use the term “retributive” as much as I used to because it oversimplifies the legal system. I often say that our legal system revolves around three questions: What laws were broken? Who did it? What punishment do they deserve? That is what we are asking in the legal system. So it is all about establishing guilt and blame and then passing out pain. As Nils Christie says, penal law is a pain law. How much pain do those who offend deserve? Also, our system is adversarial; it assumes that the best way to get that truth is to put two gladiators into the ring and let then to fight it out. Not the victim, not the offender, but two professionals get in there and fight it out. It also oversimplifies,because all what is relevant is this act and the context behind it is irrelevant. So it is a very simplified and punitive and legalistic orientation. Restorative Justice on the other hand, I say, starts with other three different questions: Who has been hurt? What are their needs? Whose obligations are they? What is the cause behind this? Who has a stake in this thing? What process can we use to empower those to sort out what the obligations are? In most cases the offender has the first obligations, but the community has its obligations as well. The basic premise of the legal system is, “You hurt somebody, now we are going to hurt you back.” That isn’t a very effective teaching method. That is not what teaches someone to be better, and so it becomes counterproductive. 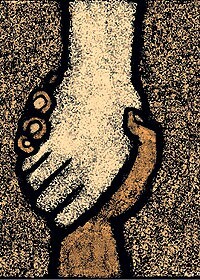 Restorative justice is a way of helping people to learn pro-actively, positively, how to live with each other. Yago: You talk about the Newtonian approach towards reality. You invite us to see Justice as a paradigm. During the past century we have become a bit more modest than we once were about what we know with certainty. We are moving from a Newtonian approach where the “scientific” approach works well to explain and predict much of what happens in the visible, physical world. Now we are moving to a completely different paradigm where mystery and interconnection is emerging. Life is much more flexible and elastic that expected. What are the implications that this emerging new worldview has on our understanding of justice? Howard: People forget that concepts like justice are actually constructed. There is not an objective, tangible thing called justice out there. A paradigm is the idea that we have constructed reality in such a way that we really think that that is the only way to construct it. We don’t realize that other people may look at it in a different way. I have a book that I ask my class read called “Return to the Teaching” that is an explanation of the indigenous world, the Canadian First Nations’ worldview, and you begin to see how much differently they look at the world and than we with European backgrounds look at the world. That affects so many things. So, we have this idea of what justice is, but is has been constructed through history. It is through history that a certain understanding of justice evolved. In this case, the legal system evolved and then it becomes our normal, and then we look at everything through the lens of this legal system. This includes our view of God. I argue that our western system of law has shaped our theology in such a way that we understand the Bible through our western legal, punitive, legalistic frame, and think that this is reality. So what we are saying in restorative justice is that legal punitive way is one way to construct justice but there are other ways; the legal approach to justice is is not the law of the Universe. It is just a particular way of constructing reality, and there are other ways to look at it. And part of my goal in restorative justice is to help people to think about the assumptions that they are making. Very often we take our assumptions for granted. Yago: Could you share with us the pre-modern justice and what was the legal revolution? Howard: Most of our ancestors, in most parts of the world, understood that when a harm happened, when a wronged occurred, there were several choices. One choice was to take revenge of some sort, but that often got out of control. A second more fruitful way was resolve the conflict and repair the damage. Often they would go to the elder, to the village priest, someone who will use that indigenous processes of some sort to resolve the conflict, and often that looked much like restorative justice. All cultures probably have both elements of retributive and restorative justice. I am not trying to sound like there was some kind of golden age. I think restorative justice is a combination of the best of indigenous traditions combined with modern human rights sensibilities. I am not saying that the traditional processes are perfect. There are important issues about the rights of women etc., but I think that the best of restorative justice is a mixture of traditional processes and modern human rights sensibilities. Yago: In that context, what is the biblical alternative, you call it the covenant justice? What can you say about that? What is the connection with restorative Justice? Howard: When I wrote “Changing Lenses” I started with my experience with victim and offenders conferencing. Because my PhD is in history, I went back to my historical tradition, the European tradition, and then as a Christian I went back to a Biblical tradition. What I found is convergence in all of those. When judges talk to me about the Bible, they often talk about an eye for an eye and a tooth for a tooth. But that phrase occurs three times in the Bible. The term that I understand occurs three hundred and fifty times is the word “shalom.” The whole focus of the Bible is calling us to live together in right relationships with each other, with the Creator and the Creation. When we harm somebody, we break those relationships. So restorative justice is about trying to recognize that there is a relational dimension that matters. When you harm somebody, you are damaging a relationship, and Shalom is a reminder that we need to repair those relationships. So to me Bible in a nutshell is a call to live in Shalom. The New Testament has a different word for it. Most of the Bible can be read in that context. A call to live in right relationships with each other, with the Creator and with Creation. I think that restorative justice has the same view, the same perspective. Yago: You also talk about the legal revolution and its implications for the creation of the Canon Law with a Church which had assimilated an imperialistic mentality. What do you mean by legal revolution? What is the role of the Cannon law in the Church? 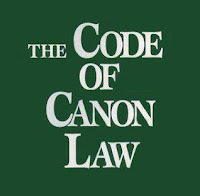 Is it the Canon law faithful to the Covenant Paradigm and Justice in the Bible? Howard: In short form, what do I understand from the history I have read is that prior to the 11th century, law was primarily customary law. There was not an outside authority that could make up law; it had to come out of the community. When someone wronged somebody else, there was a kind of reconciliation and restitution process. As the states, and kings began to emerge and claim sovereignty, the Church was also developing as an institution. Both were looking for a kind of source of authority; they were legitimize their authority and also provide the way that they could initiate law, instead of just relying on customary law. Some people argue that there were legal scholars in both sides looking for precedents. The pope’s scholars found the Justinian Codes of the Roman Empire and that became the basis of Canon Law. It is interesting that it was imperial law. 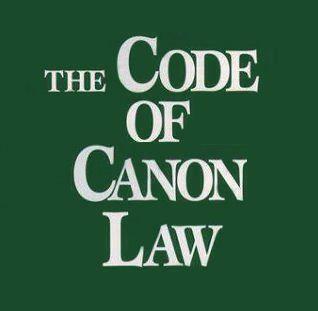 Canon law influenced secular law and as they were developing, they turned to the Bible for justifications. They begin to take concepts from the Bible, but applying them out of the shalom context that they were in. They were applied in a legalistic short of way and then Biblical scholars began to go back and read the Bible through the legalistic lens of this new legal system that was emerging. So God became a punishing judge and the punishing, legalistic theme became stronger and stronger. It ended up by distorting both the law and biblical tradition I think. Yago: Can we say that the Canon Law is faithful to the inspiration of the Bible, or the shalom tradition? Howard: I would doubt it. Frankly, I will doubt it due to its origins. But I don’t really know Canon Law. Yago: Howard, in the last part of this interview I would like to ask you some questions about the way you integrate art in justice work. You have two fundamental assumptions of your work of integrating art in justice work. The first one is that “artistic ways of knowing, communicating, collaborating and being have immense power.” Could you expand on this? 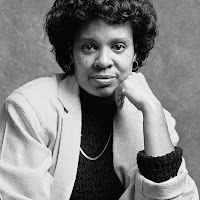 Howard: Well, one of the problems of the legal system is that assumes that what is most important is the rational part of ourselves, so it tends to repress the other parts. What we are learning from neurobiology is that rationality is based on feeling and intuition; both things go together. To be whole we really have to draw from both parts of our brains. So, as a way of knowing, it is very important to balance the strictly rational with other more intuitive, more creative, and more holistic ways of knowing. But also, let’s not forget to about how we communicate. The research tells us that more communication comes from the visual than actually from words. And we limit ourselves in academics to words. When we do so, we are just cutting off all so many avenues of communication. One of my commitments in my all life has been to develop other ways of knowing. In my projects, I often bring photography and words together. Yago: The second fundamental assumption underlying this work of integrating art in justice work is that “art, and life, must be grounded in a relational and whole-person concept of justice.” What can you say about that? Howard: Restorative Justice is trying to put relationships at the center. Until recently, this has not been true of contemporary art. In the western tradition during the past century or two, art has been about the artist and his or her sensibilities and originality. It is all about the artist, it is all about the ego. More recently there is a growing recognition of the fact that we are interrelated, and that artists have obligations beyond themselves. Art can be used to make relationships stronger. What I try to do through photography is to bring people together instead of separating them. My projects are usually designed to bridge some gap, often to help people who have not had a voice be better understood. So instead of saying that art is an individual self-expression, I would rather see it as a way of bringing the community together, as a way to have dialogues in community. So both restorative justice and that version of art are based in a relational understanding of the world. Yago: In your book “Contemplative Photography” you say that the language and metaphors of photography are predominately aggressive, predatory, acquisitive, imperialistic; you also say that they do not have to be this way. In fact, this metaphor of “taking an image” does not accurately reflect the photographic process itself. You invite us to explore photography as an exercise of receiving. In the end we are encourage to change the lens of how we experience photography? What can you say about this? 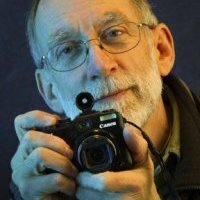 Howard: If you look at the language we use when we talk about photography, it is almost always a language of acquisition, of taking: you shoot pictures, you take pictures. It is a very aggressive language, and our equipment is often designed is such a way that contributes to that. For example, the camera goes in front of your face, like a mask and you this long lenses pointing out at the subject like a weapon. Photography ads often use weapon language. An interesting thing is that photography was invented in 1839, and within a couple of years of that people are already complaining about the predatory nature of photography. If you think about how photography is made of, you don’t reach out and take something. Light is reflected back from the subject to us, and so we receive it. 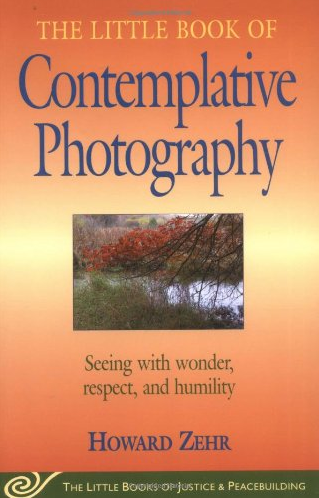 So I am trying to encourage people to think of photography as a receiving an image, as a gift; instead of a hunt, it is a meditative approach, receiving what is there and in a respectful relationship with our subjects. If I photograph somebody, I want to give them something back if I can. I think it must be a mutual relationship, and not just a relationship of taking things. So it is question of reframing, just like I want to reframe how we think of justice. I want to reframe the way we talk of photography. I think it makes a difference in how do we approach it. Yago: You stress very much the importance of mindfulness. Photography is also an invitation to mindfulness of reality as it is in the here and now. How do you bring mindfulness to a chaotic world? Howard: It is not easy! What we try to do both in photography and justice is that we tend to impose our pre-conceived concepts or expectations on people and situations. 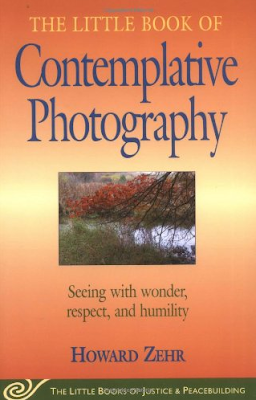 In this contemplative approach to photography, I am trying not to preconceive ideas of how we are going to photograph what we are seeing but rather go with our minds open to experiencing what is there. The same with the justice: we tend to go into these things and impose our ideas of what justice is, what victims need, what offenders need. What I am trying to encourage there is a more mindful attitude to what people need, to cultivate an attitude of listening to what they need, letting them define what they need. You are right there is a kind of similarity in the approach. My goal in photography it is to help people to stop and to look at their world anew, a fresh and see what is there, and the same is true for justice. Yago: Yes, I believe that photography can help us to open our eyes to the richness of life. Howard: Yes, photography will help us to look at aspects of reality that otherwise we will not look at them. 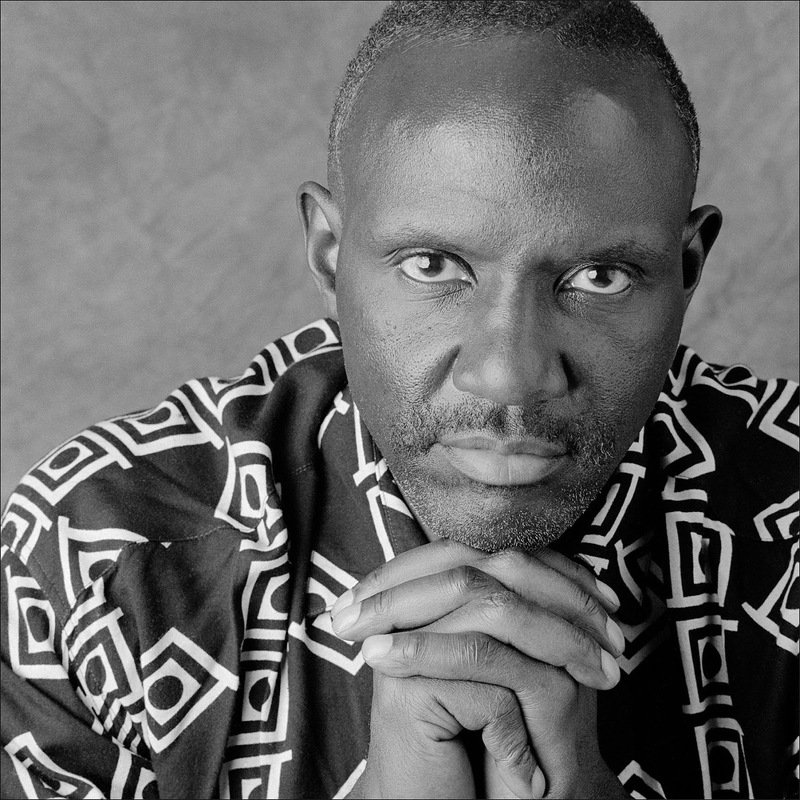 Yago: You say that if done respectfully and responsibly, photography and the arts in general have tremendous potential to build bridges between people, to encourage mutual understanding and to nurture healthy dialogue. 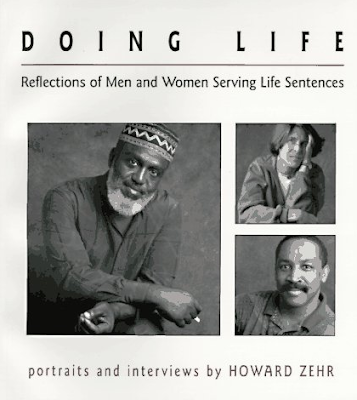 For example, in your book, Doing Life: Reflections ofMen & Women Serving Life Sentences, you attempt to portray life-sentenced prisoners as human beings who are much more than the worst thing they have ever done. You say that the responses you have received from many people, even including crime victims, suggests that this has been successful. Could you share with us how does this book initiative originated? How this project was welcomed by the prisoners? How did it help to promote the humanity of the prisoner? In which way was a learning experience for you? Howard: Although I had done a lot of work in prisons, I realized that I didn’t know very much about life sentences. In Pennsylvania life is for life, and there are over three thousand people in there serving for actually for life sentences. Ihad a friend in Alabama who had been on death roll. He got a re-trial and he was offered a life sentence, and he took it in. But he has been really depressed. 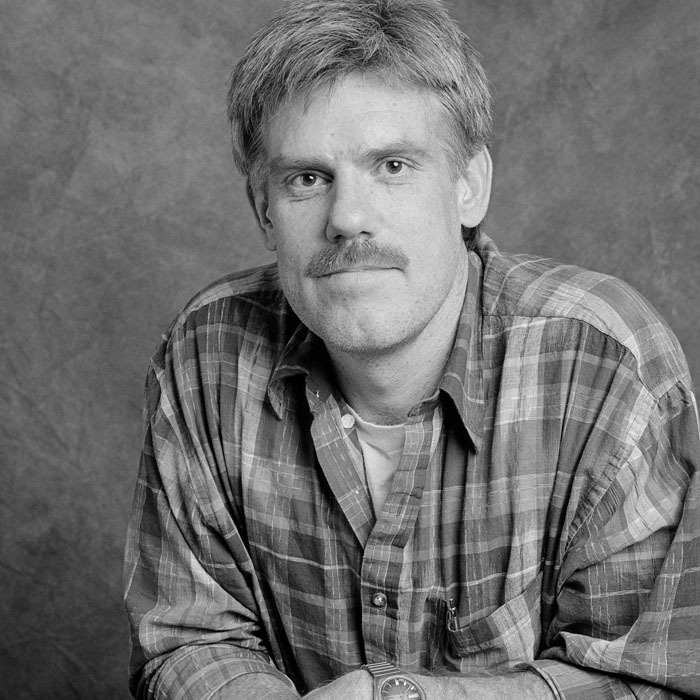 He wrote to me one time and said, “Howard, this is like trying to keep a candle lit in a dark tunnel,” and I got towondering what metaphors lifer used to understand their situation. And I wondered what they had learned about the meaning of life, having taken a life and now serving a life. They have must learned something about life. So, I decided I wanted to explore that some way. Earlier I had done a photo/interview project in New Orleans, so I went in the prison and I met a group of life sentence prisoners and explained to them my idea of a photo/interview project with lifers, and asked them what they thought about it. They were very enthusiastic about it. So, I said to them, “You are going to need to be my guide to this work because I know something about prisons, but I don’t live here. And you need to keep me accountable to make sure I represent lifers properly.” So I asked permission from the Department of Corrections to do it. I only took referrals from other inmates; in other words I didn’t allow the administration to tell me who I should photograph but rather I asked people in the prison to tell me. I would come in with a camera and a little portable studio and would set up in a room and one by one prisoners would come to talk with me. I would interview them first and then photograph them. I chose to photograph them with a plain background because if you look at pictures of prisoners, you will always have bars and all these things that trigger our stereotypes. Consequently, we don’t see them as a person - we see them as a prisoner - so I want to remove all those stereotypic clues so that we can confront that prisoner as a person. I got permission for them to wear street clothes, outside clothes. So they would come in, and I would interview them and then we would do the photograph together. Later everybody got photographs back and some of them still write to me asking for copies of the photographs. At first I did an exhibit - I didn’t think of a book. And then a group of lifers in another prison saw an article with my work that was published in a national magazine, and they wrote me a nice thoughtful letter. They said, “We like what you have done, but we don’t think that you have gone deep enough. We want to know who these people were when they came in, how they changed and so forth.” So I went and sat down with twenty guys at that prison to brainstorm and said, “Look, some of you got pictures when you first came in twenty, thirty years ago. You bring me that picture and I am going to do a picture of you now. I will lay those side by side and we will talk about who this person was and who you are now.” And that is where the long interviews came from, because we were able to go more in depth. So, that is what made the book possible, with shorter interviews and longer interviews. My goal was to have a real conversation with real prisoners, and not with some stereotypes. 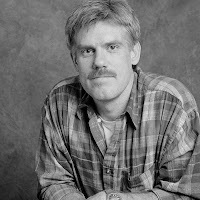 Some of the guys in the book said, “I wish you could come out and just be clearly against life sentences.” And I said, “I want people to make their own choices.” I do say in the introduction that this is my bias, that I have serious questions about life sentences, but my goal is not to tell people how to think. My goal is to let people to make their own decisions with better information. This is not a book of propaganda, this is a book to help people think, and then I did the same with the victims of violence later. 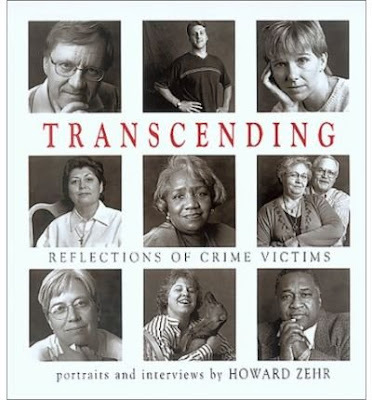 Yago: This book is Transcending: Reflections of Crime Victims. You seek to do the same for victims of crime. Howard: Again, we have a lot of stereotypes about victims but we don’t really recognize them. Yago: And then, your last book of this series was What Will Happen to Me? It is about children who have parents in prison. Could you share with us how is the life of a child whose parents are in prison? Howard: There are estimated to be two and a half millions kids in any given day here in the country who have a parent in prison, or maybe two parents. A lot of these have been raised by grandparents. A lot of these grandparents don’t understand why these kids are behaving the way they are. Their teachers don’t understand why are they behaving the way they are. 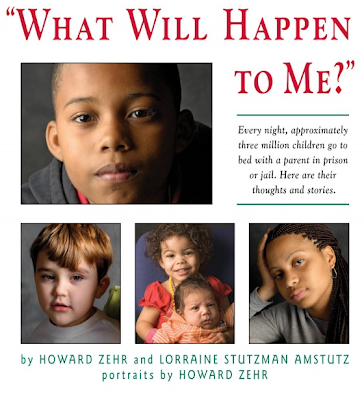 So partly Lorraine Stutzman Amstutz and I did this book for these grandparents, for their schoolteachers and the social workers, to help them understand these kids better. Because these kids they have all the issues of those who aren’t living with their parents for various reasons, but on top of that there is a whole layer of shame, uncertainty and self-blame and so on. A lot of these kids blame themselves for their parents being in prison. So, there is another layer of trauma on top of that and we wanted to help people to understand their perspectives and needs..
Yago: Could you share with us why are you critical about the word “conflict transformation”? Howard: I am not critical of the term itself. I am critical when “conflict” is confused with serious harm. Even though crime involves conflict, it is minimized if we call it a conflict. If you are a mother whose child has been murdered, you don’t want to think of this as just a conflict with the one who has murdered the the child. The language of “conflict’ and “mediation” doesn’t work well in that context. I see restorative justice as part of the larger peacebuilding conflict but we need to recognize that the terminology may vary depending on where we work. Yago: Howard, I am very grateful for your deep insights into restorative justice. Your contribution in this interview give us a new lens through which we can look with more compassionate/restorative eyes the unjust situations present in today’s world. Howard: Thanks, Yago, for your interest in this issue, and the interest of your readers.